Air Freshening Services offer solutions to both fragrance the air and neutralise malodours, thereby creating a fresher environment for staff and customers. Vending Services are an easy and convenient way to meet the emergency needs of your customers and staff without them having to leave the premises. Vends provide the convenience of on-site vending without the need for stock storage and without the workload of in-house personnel. The Vending range offers a wide selection of products to meet all health care needs, from tampons to condoms, tights to headache tablets. From shopping centres to pubs with family licenses, a fully equipped baby changing area is increasingly important to customers who are also parents. A Nappy Disposal service which complies to all legislation, including Duty of Care is a must. We are able to offer a wide range of units to cater for all sanitary hygiene disposal needs All units are slim line, have integral germicide, to neutralise and deodorise the contents and comply with all current legislation. We are flexible to suit your needs, hence we are able to offer exchange units, on site servicing and also fully disposable units. The Duty of Care Regulations oblige waste producers to ensure that their clinical waste is disposed of legally and responsibly. We offer a complete range of disposal solutions for Group A and B waste, including yellow bag collection, spillage kits, hermetically sealed containers and a comprehensive choice of sharps containers including units designed specifically for use in the community. 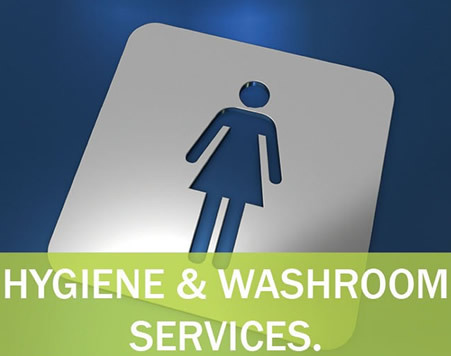 Urinal and toilet systems are designed to provide the highest possible standard of hygiene to your facilities, ensuring they remain hygienically clean and odour free.